HAVANA ROCKS In this day and age so many bands claim that they are a good rock band, but yet fail to produce the finished article, whether it is able to play live and produce a awesome and entertaining live show, or have well written songs with good riffs and catchy choruses, or generally be good musicians. When tattoos, attitude and loud music seems to be the vogue this band have it all . Havana Rocks are the next generation of big stadium bands. They hit you with a live show and live sound that will leave you blown away and definitely wanting more, they come at you with ‘in your face, tattoos out, balls to the wall rock!! And they take no prisoners. The band have toured with the likes of Sebastian Back, Faster Pussycat and the Brides of Destruction.They also have a tour to the USA planned for late 2009. Their well worked song writing shows on their latest self titled EP release. This is getting good praise from various radio stations, from radio listeners and their super fan base. Review by, Planet Rock’s Nicky Horne: "I think there is real potential there, Please keep in touch and I would like to hear any new recordings." Review by, Loui Bianco - JumpRadio: "When I first heard the music of this fabulous rock outfit from Huddersfield in the UK I was blown away. Even more so when I read their biog and realized that all this wonderful noise was being generated by only four musicians. 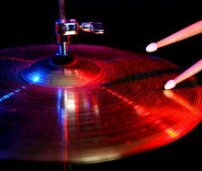 Their powerful sound gives the impression that there’s many more band members involved and I’m sure can be heard from as far north and as far south of the Pennine valleys you could possibly be. And that’s a long way! Their originality shines through yet still allows their influences to embellish their songs in their own unique way. I had no hesitation whatsoever in featuring the music of HavanaRocks on JumpRadiO! They’re brilliant!" 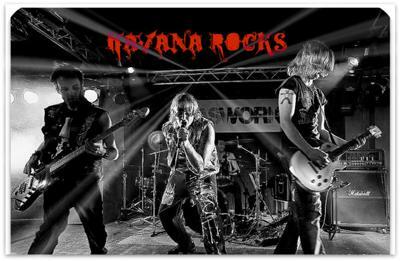 HAVANA ROCKS are a 4 piece band hailing from Yorkshire, drawing from influences such as ACDC, The Cult, The Stones, Aerosmith, Velvet Revolver, Metallica, Kiss, Thunder, Queen and many many more, this band do not limit there influences to a small amount of bands!!! Rock n Roll is back and HAVANA ROCKS are leading the way. Wonderful--where can we hear this band? Do they have a website?